As mobile web browsing increasingly eclipses its desktop cousin, and as the trend for flatter navigation and design takes further hold, more and more we are seeing the rise of the “single page” website. Think of the site you land on which scrolls vertically almost forever – no additional pages to click through to, just content in sections as you scroll downwards. Often, these sections can be reached by navigation anchor points – but, always, the content is somewhere lower on the page … never further into a navigational tree. This is a development that has been in train for a few years now – but it has recently moved from the realm of the novelty or the remarkable to those of the commonplace. In other words, enthusiasm for the single-page website has moved beyond its early adopters. There are several advantages to the style: most obviously it’s great for mobile, where clicking through a lot of pages can be a pain. 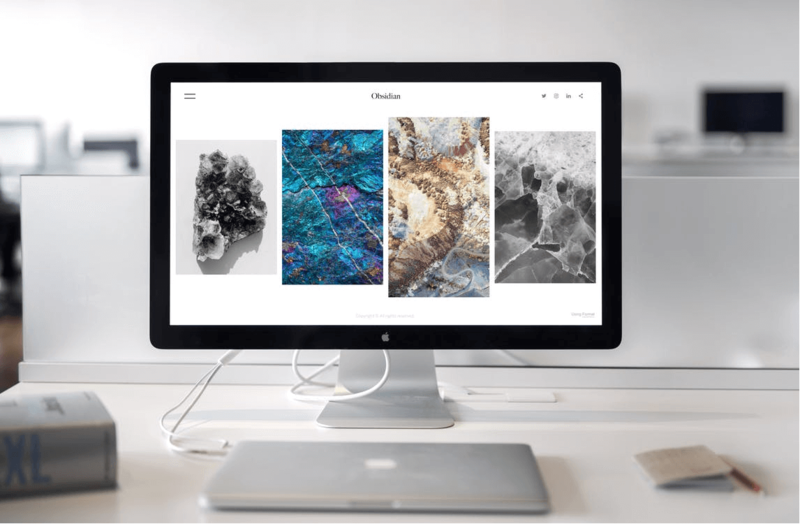 But, particularly for brochure and portfolio sites, it’s also an ideal way to display impactful content easily and quickly: the single-page format is a very visual and dynamic one. Finally, it helps you organise your content strategically: no more, “Oh, let’s just create another page for that”. Everything must fit together. There are, though, challenges posed by the single-page design. These mostly revolve around navigation: how do you make sense of a sometimes very long page for your users? On most websites, content is distributed in bite-size chunks throughout its pages, and those pages are reached through a navigational menu and structure that are hopefully intuitive in layout. Single-page websites don’t have the dubious luxury of endless individual pages, but they can still be intuitive. In this regard, Side Navigation Labels are your friend. These work like a typical navbar, except they’re a bit out of the way – as the name suggests, usually at the side (and on mobile often hidden until a small icon is clicked). This makes them unobtrusive and more accessible. These labels should scroll with the user, too – let them be wherever your user is, and they’ll never get lost. In this context, Auto-Scrolling Nav Links are essential. A common feature you may see on single page designs is this automatic scrolling navbar. Simply put, these links enable immediate scrolling to a given section of the single page: click on “About”, for example, and the page automatically scrolls to that content area. This saves wear and tear on the mouse’s scroll wheel, for sure! Not only that, but the custom animation scroll effect offers a very nice user experience. Finally, Add Calls to Action. On a big page, a user can be overwhelmed. Make sure it’s clear what you want them to do. This is especially important for ecommerce landing page designs. You should seriously consider placing your Call to Action “above the fold” – that is, visible on the first screen your users will see – with no other navigation around it. This will focus your user on the product. Using clean text and simple icons can help improve conversions, too. In other words, single page sites don’t need to be without structure. In fact, they should be more clearly labelled, and more intuitively navigable, than traditional sites. Think of them as a way to put all your important content in one place, so your user can find it easily. Make your structure clear, and help your user through it; those are the best tips for single page web designs.